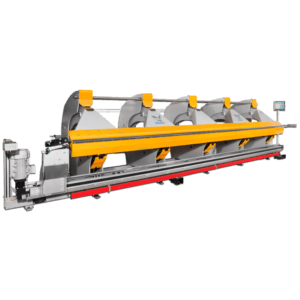 The folding machines Thalmann TZ are long folder. They can fold very long sheet metal of 18 to 14 ga with a length of 13 to 40 feet. These electric long folder have a vertical force drive system and a perfect parallelism.